Some already call it ‘another Wimbledon’ after The Football League accepted Coventry City’s proposal to play home games 60km (37 miles) away, in Northampton. Supporters of City are outraged and question the intentions of both their club’s owners and governing body. On Monday evening The Football League released a statement in which it ‘reluctantly approves’ the notion by Coventry City FC owners (hedge fund SISU’s daughter company Otium) to play as many as 5 seasons outside of Coventry, in Northampton. The move to Sixfields Stadium is argued by the owners as necessary for their club to survive independently until their purpose-built stadium is ready in a period of 3 years (estimation only at this point, no solid plan). 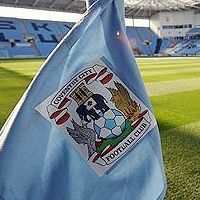 “In the Board's view, it was a matter of "deep regret" that it had not proved possible for the club's proposed purchaser to reconcile its differences with the owners of the Ricoh Arena - Arena Coventry Limited (ACL). However, with the new season less than four weeks away, the Board required certainty as to where the Club would play its matches from the start of the new campaign.” – reads the statement by The Football League. League authorities didn’t investigate the case of Ricoh Arena and SISU’s conflict over stadium use. Despite the proposal of playing one season for free, Coventry City refused to negotiate further and insisted on moving. Despite decorating the statement with ‘reluctantly’ and ‘deep regret’, The Football League failed to address any concerns by the fans of Coventry City. Worth mentioning, a survey of fans’ opinions has been carried out, but hasn’t been released due to, as fans believe, vast majority opposing any move outside of Coventry. What has been released is a wave of anger throughout supporter communities in Coventry and beyond. The Sky Blue Trust, biggest official representation of City supporters, is “is disappointed, dismayed and angry about the announced move for Coventry City to be uprooted and to play its “home” matches 35 miles away in Northampton for up to 5 years”. Similar opinions come from Supporters Direct and Football Supporters Federation, largest supporter bodies in the UK. Malcolm Clarke, Chair of the FSF, said: “This is a terrible day for Coventry City and its supporters. To see your club ripped from the community from where it was born must be one of the hardest things a fan can go through”.